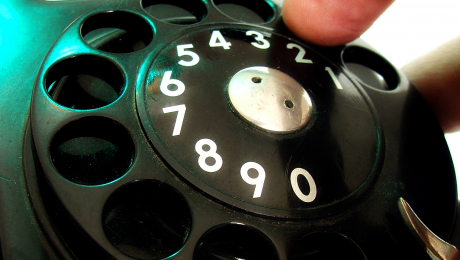 How trust can improve your email click-through rate (and other tips). What’s Trust got to do for you and your email click-through rate? Isn’t Trust one of those woolly, self-help words which doesn’t really mean anything? I’m going to show you exactly how trust and engagement can produce very tangible results for your business in an exclusive one hour interview with world renowned futurist, social entrepreneur and off the scale “creator” profile, Roger James Hamilton. The call will take place on Wednesday 16th July at 17.30 BST so pop that in your schedule planner now. The trust he has with his database in the quality of his work meant he had advance sales of over 5000 copies before his book was even launched! The trust people have built in his ability to create means he has over 1000 people a day taking his genius test every day and then he tells them to go get other people to sign up too! So if you’ve been questioning how trust can actually affect your bottom-line and real-world results, think again! On a more personal note, I’ve been working with Roger for over 7 years and he’s the number one person I turn to for sustainable, scalable and yet out of the box mentoring. And he never fails to deliver. Roger knows the value of building trust in business, he delivers incredible value and creates amazing Flow. He’s a serially successful multi-millionaire with a great purpose and a very big heart. In short, a true Change-Maker. And if you are one of the staggering 250,000 worldwide who have taken either the Talent Dynamics or Wealth Dynamics profile test, then you’ll probably know something about how his creations have impacted your work too. And that’s why I want to give you the opportunity to ask him any question you want! When you register for the call you will be given the chance to submit a question for him and you never know, yours might just be the one I end up asking him! Whether you are an Entrepreneur or a leader in a large organisation, what Roger will be sharing is current and relevant for you and I really do recommend you make sure you are on this call. PS. Remember, in this interview I’m going to be asking Roger the real questions you want answers to! So when you register, do also submit your question for Roger and I’ll be taking a look at them and you never know, I might just be asking your question directly! PPS. On the call, I’m going to be sharing a really extra special opportunity which includes a whole stack of goodies that Roger has promised me I can share with you, so when you register, please put the date and time straight in your diary! The other day I donned my dark glasses and went on a top-secret mission to Chelsea Wharf to interview none other than Sir Bob Geldof! As you can imagine, it was an enlightening, educational, eye-opening conversation with someone who has a lot of really cool things to say on many subjects. Specifically, we chatted about Trust in business – something I’m hugely passionate about – and why there has to be a shift from a 20th Century society built on competition, to a 21st Century built on co-operation. In fact, there’s so much value in this 4-minute video that I do urge you to take 4 minutes out and listen for yourself. After all, it’s not often you get to hear Sir Bob Geldof giving you business advice! Hopefully see you soon and enjoy the video! Well the big news for us this month has been the official announcement that Sir Bob Geldof is to be the keynote speaker for the September 11th Trust Conference. I’m sat on the train back from London, writing this, after meeting with Sir Bob to film a video about the importance of trust, in the run up to the conference! Can’t wait to share that with you in the next few weeks! A tireless campaigner for human rights and charities around the world, Sir Bob, along with our other expert key speakers this year, are set to share, powerful, practical strategies that each of us can implement both in our work and in our lives. Showing us tried and tested ways to create a more trusted work place, community and world, not just for us here and now but for our children and future generations to live, work and connect in. Wether you are running a multi million dollar business or you are in start up phase, The Trust Conference is the place to be, to learn how you can propel your business to outperform your competitors by as much as 10 times by growing Trust. Have a flow filled month ahead! PS. On July 16th at 1730 UK time, I am interviewing my good friend Roger James Hamilton, who is also one of our Trust Conference speakers this year… Roger is a renowned futurist and entrepreneur. His insights into building Trusted organisations and teams are not to be missed, so please diarise the date and look out for the details! What question would you ask a billion dollar business director? Today I’m super excited to announce that I will be hosting a live online call on Monday 23rd June at 6:00pm (BST) where I’ll be interviewing the incredible Hollie Delaney. Hollie is the Director of People Experiences at the billion dollar online shoe retailer Zappos.com – a company which has taken the business rule book and ripped it to shreds. Now I don’t know about you, but it’s not often I get to pick the brains of a billion dollar business owner and get to quiz them on all their top secrets! And if you had the opportunity to ask her one question, what would it be? Not only is Hollie an engaging, warm and beautiful individual, she’s going to share some of her top performing strategies on how you too can you achieve phenomenal results. And by the way, whether you are a business owner, a team leader or you run your own organization, there will be something valuable in this call for you. Hollie is right at the heart of creating and nurturing this wonderful new way of working and doing business and quite honestly, she’s one of the most enlightening women I’ve ever had the pleasure to meet. So if you want to learn even a fraction of what she can teach you, then I’m sure you’ll agree this is a live event you will definitely not want to miss! The call will be on Monday 23rd June at 6.00pm (BST) so make sure you register your place right now. PS. When you do register today you’ll be given the opportunity to ask any question you want about Trust – and you never know, this could be the one we answer live on the call! DT’s Tower: Who You Gonna Call? 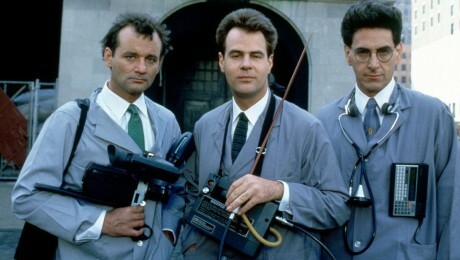 Unfortunately the answer isn’t always “Ghostbusters” which turned 30 this month. Shameless use of popular culture segue over, the point of this blog is to pick up where I left off last time with my Delegation Game. I thought it might be useful to show how I am attempting to solve a problem that would take me out of flow very quickly if I’m not careful. I might have mentioned 🙂 but I’m a Lord. As a raging introvert (extroverts can be raging, why not intorverts?) the ‘people’ side of the Talent Dynamics square is not my strong point. In fact according to my profile report I have 0% in Blaze energy. I’m reposting the square as proof. Despite being introverted I am known to speak. Sometimes at length. Building on the flowchart that I shared last time I am identifying all the things that need to be done which I can’t do or don’t have time to do. Now there are still gaps. But whereas before it was a mountain of ‘stuff’ now I have specific things I need help with. During networking or casual business conversations I can talk about these issues and in all likelihood I will either get suggestions OR (best scenario) I will happen across someone who can solve it. The point of all this is that I now ‘know’ who to call AND have a process to follow to stop delegation tripping me up in future (in theory). Keynote Speaker of Trust Conference 2014:Sir Bob Geldof!!! 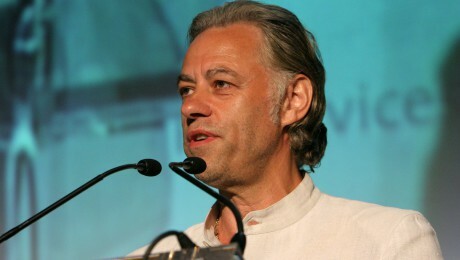 We are thrilled to announce that the our Keynote Speaker for The 2014 Trust Conference is Sir Bob Geldof! As a tireless campaigner for numerous good causes and charities throughout the world, Sir Bob Geldof is able to use his high profile to great effect. From African famines and aid organisations to business, global politics and communications, Sir Bob has raised awareness of a wide range of causes. Rising to fame thanks to his music career, which began with The Boomtown Rats in 1975, Sir Bob is known for the hit albums and singles he has recorded – both as part of a band and as a solo artist, and he continues to be a prolific recording artist. During the 1984 famine in Ethiopia, he turned his attention to charity work, organising Band Aid and the fundraising event Live Aid. In light of his charity work, he received a knighthood in 1986. Through his co-ownership of Planet 24, a television production company that launched The Big Breakfast in 1992, Sir Bob became firmly established as an astute businessman. He also founded Deckchair.com, and online travel agent, in the late 90s, and sold it in June 2003. Following the sale of Planet 24, in 1999 Sir Bob and Alex Connock went on to found Ten Alps Communications. This company produced documentaries for Channel 4, Sky and the BBC, among others. Sir Bob continues his charity work today, having recently completed a series for the BBC entitled Geldof in Africa, during which he travelled through West, Central and East Africa. He has also written a number of articles for publications including Time magazine. The Live 8 concerts, undertaken in 2005 and performed in the same spirit as Live Aid 20 years previously, were a huge global fundraising event, and cemented Geldof’s place as a tireless campaigner for global charities. As such, he has received a number of awards, including the Nobel Man of Peace Award, several Honorary Doctorates, and a number of Nobel Peace Prize nominations. As part of his plans to support Africa and assist in its development, in order to bring it in line with China and India, Sir Bob set up a private equity fund in 2010, called The 8 Mile Fund. Talent Dynamics Profile Test now also available in Norwegian! We have finalised the translation of the Talent Dynamics Profile Test and report into Norwegian, which has just launched this month in Norway. Huge thanks to Performance Consultants Victoria Aase and Ingunn Aursnes from Norway, who have handled the translations and the launch of Talent Dynamics there. If you have a company based in Norway, or are a Trainer/consultant in Norway, please do connect directly with Victoria and Ingunn for more information. Click here to take the profile test in Norwegian today. Its very exciting as we now have the Talent Dynamics profile test translated into Norwegian, Danish, Taiwanese and Japanese and we are currently working on a Spanish translation too!